Geneva, Switzerland, 25 October 2016 – ADB, a leading provider of solutions for media and broadband convergence, today announced the public launch of its cloud-based Internet of Things (IoT) service, ioCentro, which enables proactive troubleshooting, consumer self-help and more efficient after-sales service – all while reducing costs and complexity. Available as an end-to-end smart connectivity platform, ioCentro combines hardware with customised services and support designed specifically to aid major appliance manufacturers in establishing closer ongoing relationships with their customers. 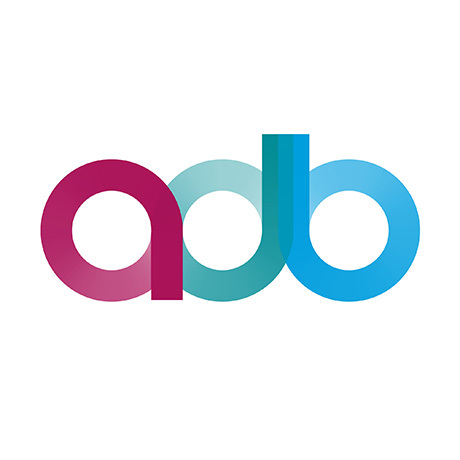 ADB has already begun to deploy ioCentro with leading home appliance brands, including Whirlpool, Bauknecht and Indesit, and is publicly debuting the platform at the IoT Solutions World Congress in Barcelona October 25-27.
ioCentro is built on ADB’s 20-plus years’ of innovation in connectivity hardware, software and data integration. The company has deployed more than 100 million connected devices worldwide, including 30 million broadband gateways. The cloud-based solution offers an effective and scalable approach for collecting, managing and analysing appliance data across millions of products worldwide. Hardware connectivity modules enable Wi-Fi connectivity and the flow of sensor data – with products 80% preconfigured to speed deployment. As a result, global manufacturers can create connected appliances and bring them to market quickly, without having to become IoT experts themselves. IoCentro’s cloud configuration also allows appliance makers to easily and swiftly retrofit existing designs to offer new IoT connectivity, thus avoiding costs related to creating and managing bespoke IT environments. ioCentro is purpose built for the connected appliance market. More than four years of development have gone into ioCentro, creating a seamless IoT solution with a robust roadmap to help futureproof an organization’s investment in IoT. Deployment on state-of-the-art cloud infrastructure ensures that ioCentro has the latest security, horizontal scalability, high availability, compliance with data privacy regulations, and protection against denial-of-service attacks. ADB is Connecting Lives and Connecting Worlds with innovative solutions for personal and business TV, broadband and Internet of Things (IOT). We understand how the Connected Age is changing consumer consumption and driving demand for powerful, flexible and cost-effective connectivity and services. Our Connected Solutions bring together our proven expertise and 20 years of award-winning industry firsts, enabling our customers to build successful businesses and deliver the connected experiences consumers crave. We know what success looks like because we are empowering some of the world’s leading content distributors, pay TV and broadband operators including A1 Telekom Austria, Border States Electronic, Canal Digital, Cox, Graybar, NC+, Swisscom, Telecom, Italia, Telefonica, Telenet, Time Warner and Vodafone. 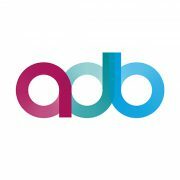 ADB has a passionate and dedicated team of over 600 people, including a 350 strong engineering team. The company is headquartered in Geneva, Switzerland and has offices throughout Europe, Asia and North America.